I am new to Dynamics and the CRM space, this is my first post. I am really enjoying Dynamics, but getting all my contacts in there is a bit much. how are you/your organization entering new contacts into Dynamics? Is there a best practice and/or services/other technology to help? What are the pros and cons of these technologies/services? What are the costs for these services/technologies? Thanks for your input. It is greatly appreciated! There are many ways to import Contacts into CRM. You can buy third party software like Scribe, Inaplex or KingswaySoft which have easy interfaces and instructions on how to import the records. More experienced users can use the Sdk to import Contacts from their choice of Sources. But since you are new, why don't you just try the built-in Import Tool in CRM? It is free and fairly easy to use. There are limitations, both in the size of your import and the number of records. However, it can handle 50,000 Contacts at a time. Here are some quick steps how to do it. 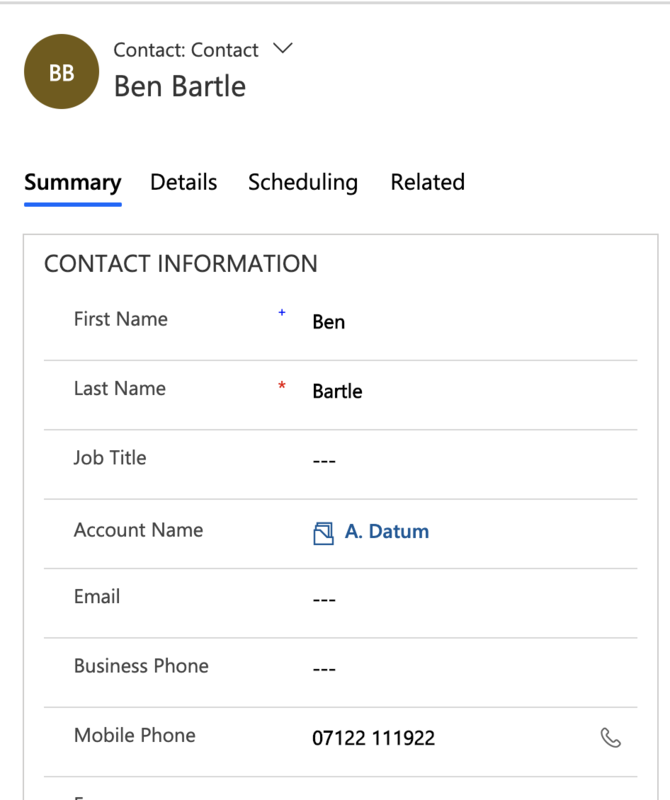 Create an Advanced Find of Contacts with all of the Columns you are looking to Import. You do this to get the Column Names, which will be much easier when you import it back. It is best to separate First Name and Last Name rather than use Full Name. Export the Advanced Find to an Excel Worksheet. Unhide Columns A, B and C and delete them. You won't need them for this part. Copy and Paste your Contacts into the Worksheet, making sure that your Data matches your Columns. Save the Worksheet as your "Master." There is one important thing to note. The Import will automatically create new Fields if they are named incorrectly and you don;t ignore the Columns. They will also create new OptionSet Values if they are not already in your Option Set. Thanks Gerry. I will put your info to use today! There are many ways, but let's go with the basic one. ​Within Accounts and Contacts, you will have a Import Data tab at the top. The best way to get started is to download the Excel templates for each and add some basic data on the 3rd row in the Accounts.xlsx and Contacts.xlsx Excel sheets, then Import from the same menu. I suggest an Account (TestAccount) import first, then a Contact (TestContact) next, be sure to add the CompanyName (TestAccount) in the proper column, so the contact gets nested under the proper Account (TestAccount). Not sure why the Contact.xlsx uses CompanyName vs AccountName in the column header. After that you can get your data from other sources (.csv?) as needed and paste into the Excel Templates. I also suggest leaving any unused columns (blank) in the Excel Templates. I have a query which I am unable to resolve. I want to import a contact. The Company Name for the contact exists more than once (for example if different business units need to work on the same account but keep the records separate). The import will fail with the description of A duplicate lookup reference was found. Is there a way in the contact template to indicate what Company Name record you want to import the contact to? Could this be achieved by mapping the AccountID to the Contact entity? One hack is to change the Company Name temporarily for the import but this involves a manual process to check what Company Names are duplicated in the contact import which isn't ideal. Hi @Mark Aston, sadly the lookup reference has to be unique, however it doesn't have to be the company name. 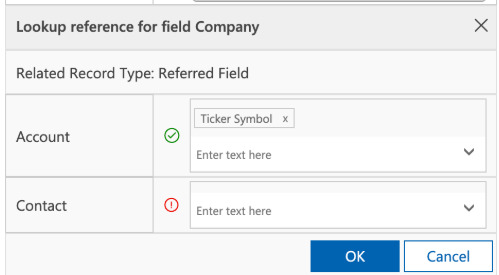 You can adjust the reference to be just about any field on the entity, in the example below I am looking it up via the Ticker symbol. Thanks @Ben Bartle, just tried what you suggested. Couldn't get the same screen as you until I checked the Unified Interface​ and can now replicate the screenshot in your message apart from the Lookup reference for field Company. How do you get this section to appear? Do you have to set up the Contact import file differently? Hi, @Mark Aston, you need to first select 'Company Name (Lookup)' against your source​ field, then it will prompt you to enter the reference field(s). Company Name is not unique but AccountId is unique. So, using the AccountId will solve the problem. You bring up a new "gotcha" with CRM Imports that I forgot to mention. Suppose you merge 2 Accounts. They both have the same name. Now one is active and one is inactive. The Import Utility, to date, has no way to let it know not to search inactive records. Therefore, the "A duplicate lookup reference was found" failure will occur. For these you can rename the inactive Accounts with a Post fix of "- Old" or something similar. This will prevent the problem. By the way, if you export Inactive Accounts, change the name and import them back in to CRM, The API will update inactive records. This saves you from having to activate all of the Records, changing the name and deactivating the Records. 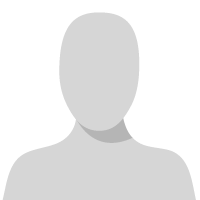 If anyone in the CRMUG knows of a way to prevent an Import from looking at Inactive records please let us know. Importing accounts and contacts can be difficult. Here is important tips to keep you database in shape and the task of importing accounts as easy as possible. - You can create a new field that will be the account ID (could be the GUID or a specific unique ID). 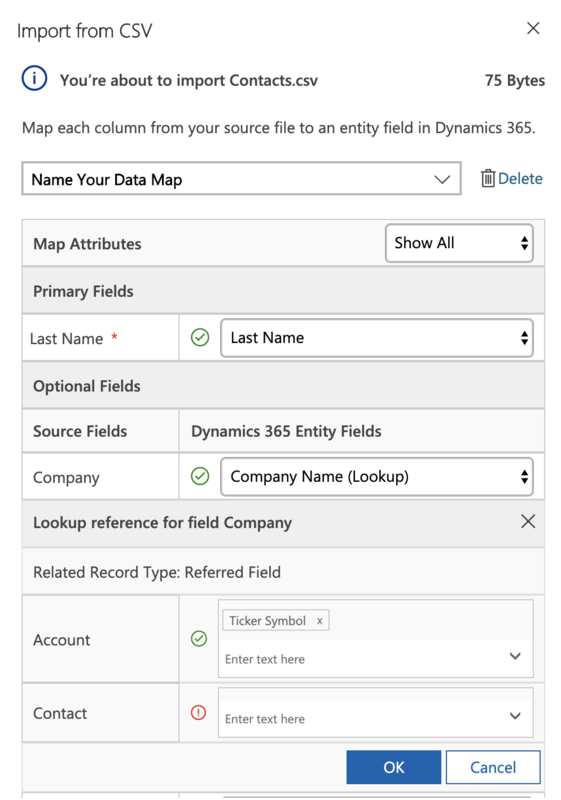 You can install Dynamics 365 Workflow Tools solution to be able to copy the GUID on the account form. That becomes your reference when you upload your contacts. 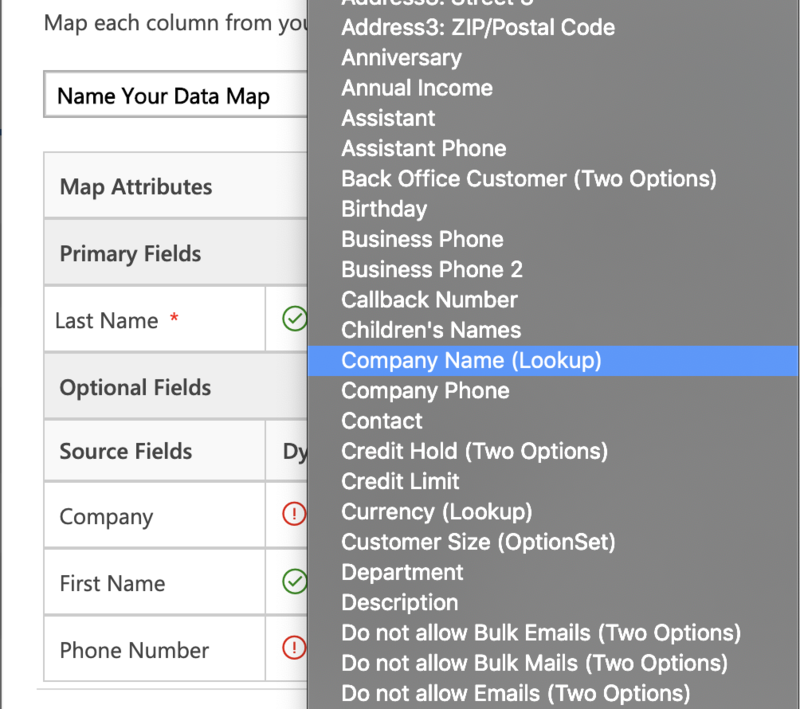 - Adding the city as mandatory field on the account will avoid (as much as possible) duplicate companies. - To import data, I use Flow. It allows me to upload accounts and contacts even if they exist. Flow will do the verification for me and create an account/contact if necessary or just update the contact to a marketing list.